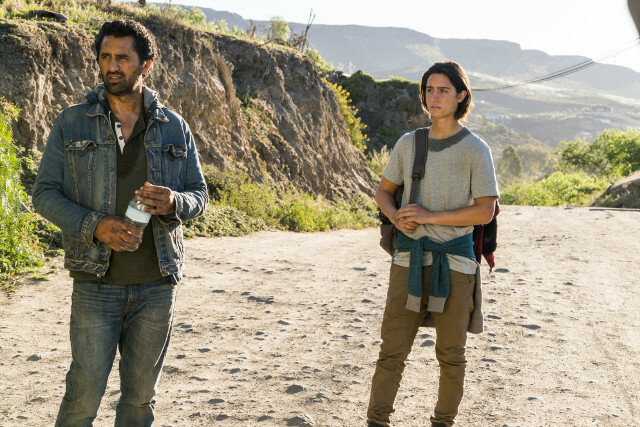 Madison (Kim Dickens), Strand (Colman Domingo), Alicia (Alycia Debnam-Carey) and Ofelia (Mercedes Mason) took refuge in an abandoned hotel on the latest episode of Fear the Walking Dead. 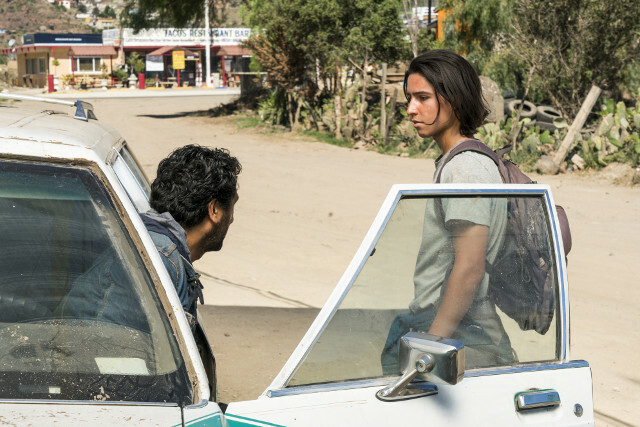 After searching for Nick (Frank Dillane), the group headed back to board the Abigail only to find it gone. 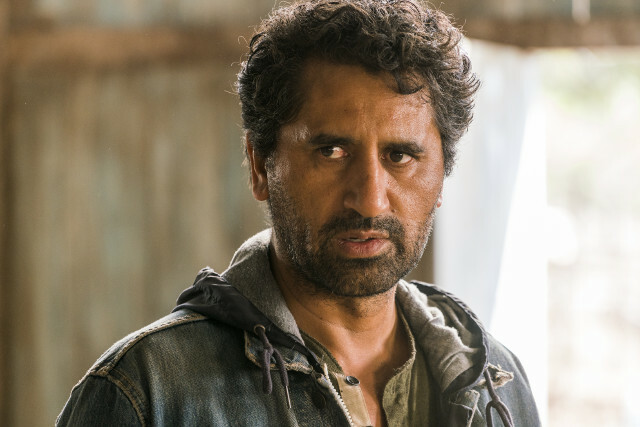 They left a message for Travis (Cliff Curtis) and Nick on driftwood and took shelter in a hotel. 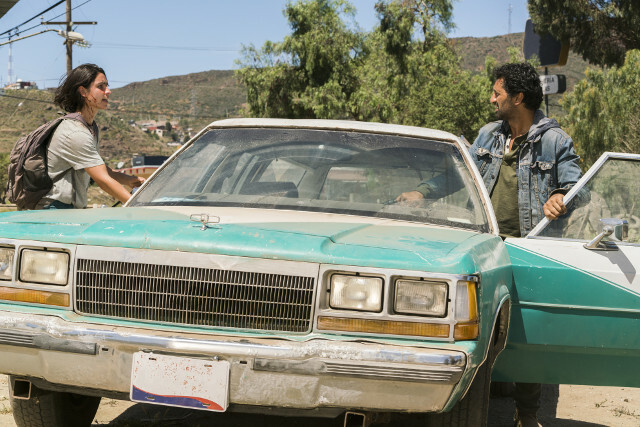 While Alicia and Ofelia searched the rooms for supplies, Madison and Strand bond over a bottle of tequila. Madison revealed to Strand that Nick and Alicia’s father committed suicide and didn’t die in an accident like she had told her children. 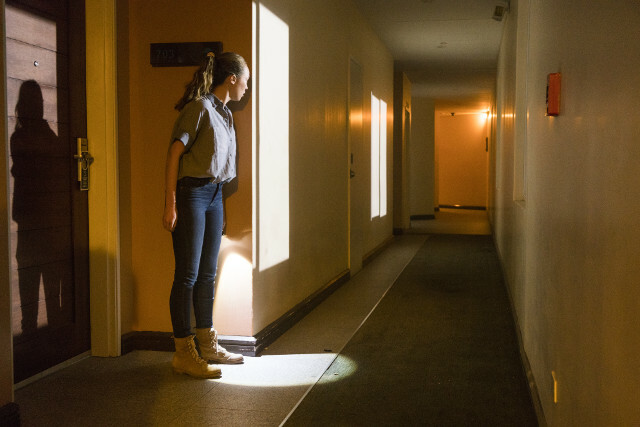 Alicia took a shower in one of the empty rooms she found and when she finished Ofelia was missing and hordes of walkers were heading towards the hotel. 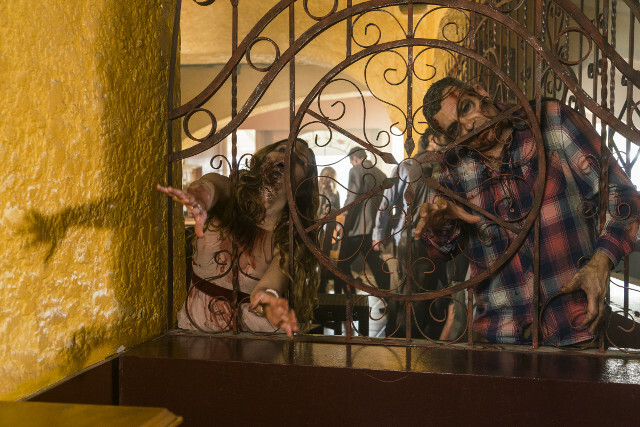 Down in the bar, the walkers managed to get in putting Madison and Strand in jeopardy. Meanwhile Nick went on a supply run with Luciana (Danay Garcia) and were almost maimed by gangsters when Nick stole some food. The next episode of the season is Do Not Disturb. 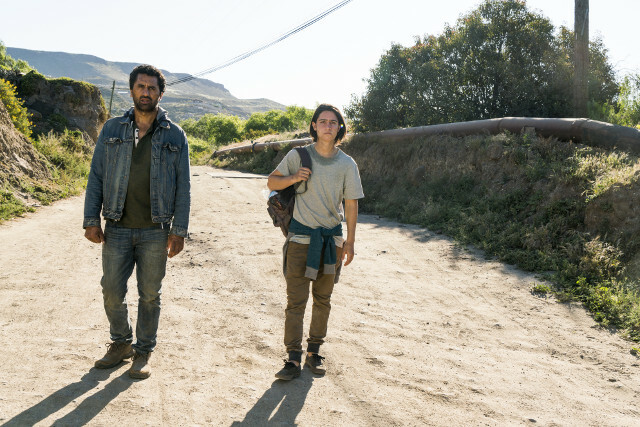 Travis struggles to connect with Chris while searching for shelter. 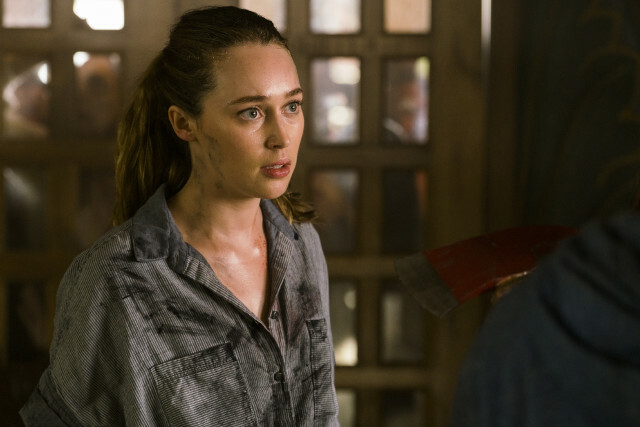 Meanwhile, Alicia meets a lonely woman with a bloody past.